My name is Fr. Ioannis Fortomas. I am a Greek Orthodox priest serving within the Metropolis of Austria, assigned to the Holy Wisdom parish of Budapest, Hungary. Yesterday my wife, Elizabeth, and I received some tragic news from our family in Russia. 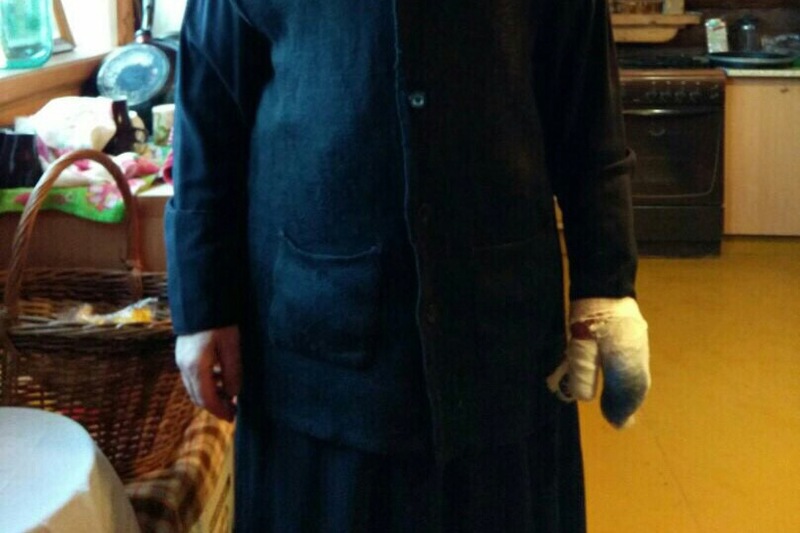 My wife’s brother, Fr. 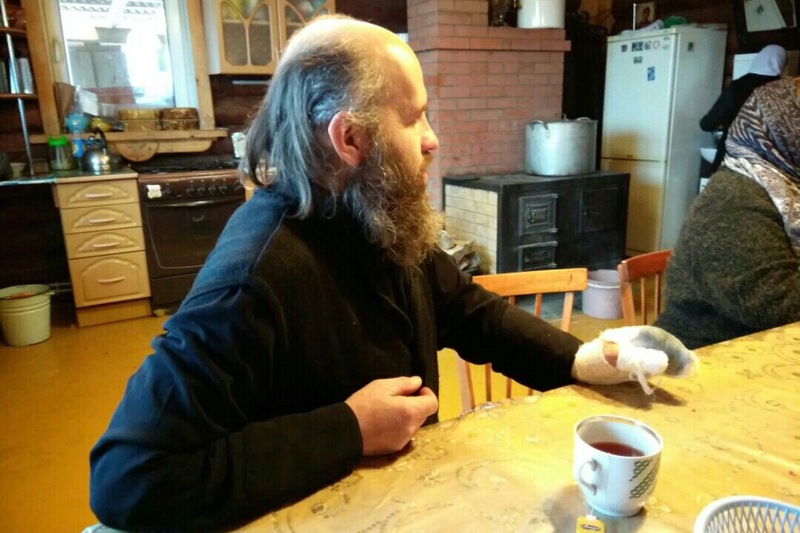 Sergei Filonov who is the rector of a small struggling parish in Tikhvin, Russia (Job the Much Suffering Church) had a tragic accident. While trying to finish - in time for Christmas - the small house he began building from scratch with his own hands and with the sweat of his own labor, the chainsaw he was using slipped: cleanly amputating two fingers out of his left hand and severing the other three. Emergency services at the local hospital stabilized him and corrected the damage done to the three fingers, but as you may understand he has permanently lost the two. We can all understand the feeling of a slight paralysis of one finger (I had an issue in the summer and was unable to hold any objects in that hand). Let us now imagine losing two fingers. Work becomes impossible. For now, the doctors tell us that Fr. Sergei will remain in hospital for two weeks with the recovery time spanning the months ahead. This tragedy affects all our family greatly on the emotional and spiritual level, but most of all it affects Fr. Sergei’s wife and six children. It affects them not only spiritually but also financially. We ask, in the humble spirit that shines forth from The Blessed Child’s lowly cave and manger in Bethlehem, that you give whatever you deem appropriate towards the goal of supporting Fr. Sergei, his wife Daria, and their six children - the last of which is a newborn - in this crisis. These funds will go towards the completion of the Filonov family home. I do not know a more kind, hardworking, genuine and loving cleric as Fr. 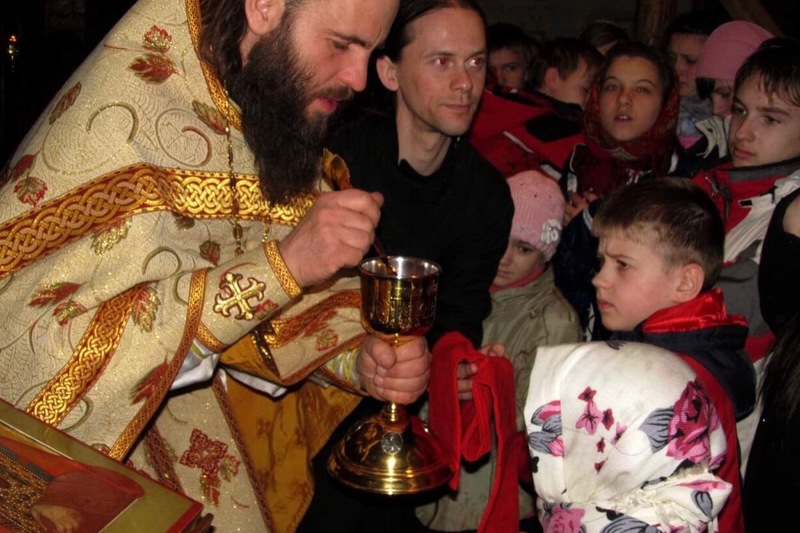 Sergei, who, from the day I met him, constantly engaged in physical labor to build his parish and his small home. It is up to us all to turn this tragedy into a joy and blessing for this family, but also for ourselves, for the blessings we give in charity really are our investment in our eternal reward. If you cannot give, by all means, share the news of this fundraiser. If you have any other ideas on how we may better help the Filonov family in this time of crisis and need, please do not hesitate to share these thoughts and ideas with us. Dear friends! I am pleased to see that we’ve reached 1/3 of our campaign’s total goal. On behalf of Fr. Sergei and all our family I’d like to thank each and everyone of you who gave with their whole heart. Fr. Sergei was released from hospital yesterday. He went to a private doctor in St. Petersburg who will be meeting with him over the next weeks to make sure that his hand remains disinfected. As many of you know, now, infection is the greatest threat to his health. He also has little to no feeling in his left hand - this is due to the shock - but doctors are sure with proper therapy this can be mended. As soon as gofundme allows, I will be withdrawing the amount and sending it directly to Fr. Sergei via the company “Momeygram”. In the interest of transparency, I’ll be posting the transaction (ie. the Moneygram receipt) in a update here on the campaign site.